Microsoft Australia director of partner business development, Phil Goldie. Microsoft has named Ingram Micro and Rhipe as the first Australian distributors to roll out the second phase of its Cloud Service Provider program. The announcement of the first Australian tier two distributors follows the appointment of tier one partners OBS, Cloud First, Nimbal (a joint venture between Kloud and XCentral) and OzHosting in December last year. The second phase of the CSP rollout opens the way for traditional resellers to gain access to Office365, Dynamics CRM Online and Azure from Australian datacentres for its customers. The locally hosted services will be delivered from datacentres in NSW and Victoria. Microsoft director, partner business and development, Phil Goldie, told ARN, the first tier CSP allowed partners to sell Office 365 on a monthly-billed basis in a direct resell to their customer, which was a new capability that it had not had before the December 2014 launch. "But more importantly it allowed partners to build a really different innovative go-to-market offer around our Cloud platforms," he said. "For the vast majority of the 10,000 partners that we have in Australia, building on one tier relationship isn't necessarily something that would make sense for them. "When you think about the back-end infrastructure and billing capabilities that are needed. "There is a pretty clear need for both a one tier and a two tier model in the program and that's what we are announcing today." He said the second phase of the program would bring on board Cloud wholesalers or two tier partners. "Partners that can really do that classic technology distribution play and provide a lot of that back-end billing and automation tools and make the experience for the vast majority of partners very easy to sell Microsoft Online Cloud services on that monthly billed basis through CSP." "It's exciting times, CSP as a construct is really going to become much more broadly available to the mass Microsoft and non-microsoft partner base across the country," he said. The selection process saw Microsoft approach a number of different organisations with a core set of capabilities. Goldie said the company went looking for wholesale partners that typically had very large scale Cloud based partners networks. "Both Ingram and Rhipe have established those networks pretty substantially across the Australian market - that was one criteria," he said. "The second area we looked at was really around things like billing, provisioning, support, both partner support and end user customer support. "What we really want to do quickly now is enable the vast majority of partners to be able to access these services. "So going for two distributors, who have got that capability through an existing partner network, was important." However, Rhipe and Ingram Micro will not be the only tier two wholesalers for long. Goldie said Microsoft would re-evaluate the performance of both companies over the next 12 months. "We will probably look to appointing further Cloud wholesalers over the course of the next 12 months," he said. "It's not a process we have kicked off in anger yet. But obviously all our focus is with Ingram and Rhipe, and having them successfully launch in the market." "It's another piece in the puzzle that we have been working on over the course of the last few years. "We are now in a position in the last few weeks, where we have got all of the major Australian Cloud services available [AWS, Azure, vCloud Air, IBM Softlayer, Cisco InterCloud] in Australian datacentres, which we know is a key enabler for the channel. He said resellers could expect Azure and CRM Online to become available in CSP during the course of this calendar year. "That will give each of the tier two wholesalers, as well as their downstream network, access to all of the online services from Microsoft," he said. "There's no restriction for either of the wholesalers to what they can sell. "Initially, the focus will be around Office365. We know there is a massive untapped market opportunity for that product and it continues to gain momentum." He said Ingram and Rhipe came from quite different backgrounds. "Ingram is obviously traditional distribution. They have done a great job partnering with Microsoft in terms of open licensing and moving SMB resellers and customers to the Cloud," he said. "Rhipe is much more of a Cloud and hosting background with their partner network. There's not a huge amount of overlap between their two respective downstream channels." Ingram Micro executive director, APAC, Richard Duggan, said the partnership allowed the distributor to offer something that really had not been there before. "Monthly subscription modelling allows to go out and offer bundled solutions, as well as support services and migration services. "It really allows to help the customer adopt Cloud and help them drive forward from a sales perspective, enabling us to maintain the back-end for them in respect of billing and provisioning." "For our channel partner its really about helping them through the full life cycle from sales to support, to simplify success for our channel partners and also to speed up the market adoption of Microsoft Office." Ingram Micro, a global distributor, has already been awarded CSP in other regions. 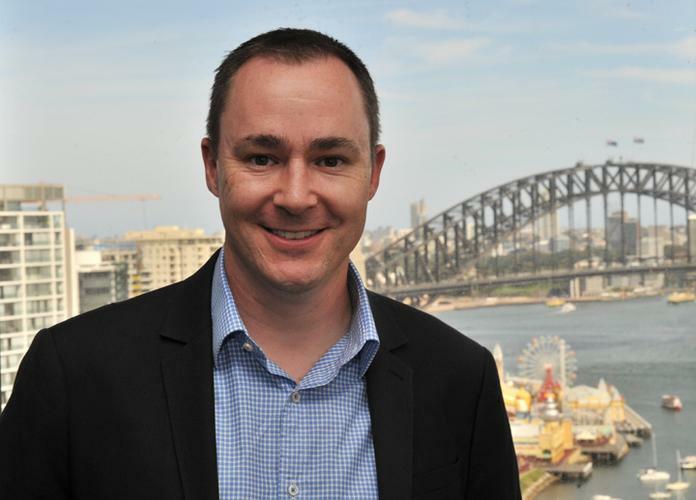 Duggan said this gave them an advantage in supporting Australian SMB partners. "From Ingram's perspective it will be all around a one-stop shop for our partners," he said. "We will make sure we are meeting customers' demands around requirements and supporting partners as they move from a traditional reseller model into a cloud model and over time we will be providing the partner additional services in both the support area, but also providing first level support for their clients. "These models are designed to allow the reseller to go to market with a more sales focused function and allows Ingram to help drive the migrations and the solutions with the customer facing support teams. "This is a really exciting opportunity for Ingram and it also reaffirms the close partnership of Microsoft and Ingram Micro both locally and regionally. Rhipe chief executive, Dominic O'Hanlon, said the new program was a perfect fit with the company's heritage. "Our heritage is all about subscription, it's all about only billing you for what you use, it's about treating software as a utility at the end of each month, we look at what you use and you can decrease it or increase it," he said. "Tier two CSP is the wholesaling model that allows us to sell Office365, Azure and other products through that exact same methodology." O'Hanlon said the subscription model with consumption-based billing was in the company's DNA. "We already do $100 million in annual return subscriptions every year and we do 99 per cent of revenue focused on subscription. So it just plays into our hands on exactly how we go to market. "If you looked at any distributor, in any country you would be hard pressed to find a distributor that is focused exclusively on subscription revenue. "We lead with the fact that we are Cloud focused and we are channel focused - we try not to compete with or customers. "We sell through them and if you look at our sales staff, they aren't paid commission on doing deals, they basically given a territory to manage and that territory is about consuming subscription licensing, and that's exactly how we gone to market from the beginning of time." Rhipe currently has 1500 service providers and it is adding 20 to 30 a month. "With CSP you will see ongoing significant investment in growing our business. We have grown 45 per cent five years running," O'Hanlon said. "The reason we are growing so fast is because we're investing in new programs, new geographies, expansion of staff, and you will see us continue to do that. "We really believe it is the future of licensing for our business, so you will see us ramping up our team and bringing on other new products which are complementary to CSP to market." O'Hanlon said the message was loud and clear. "We are at the beginning of this, we are nowhere near the end and the companies that are going to succeed are the ones that going to be fairly agile and looking at how they are going to use the latest technologies to help their customers," he said. "I don't know of a better product out there than Office365 to help them do that."